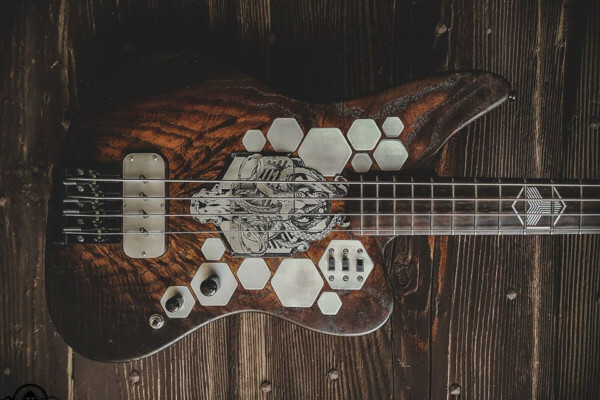 After growing up around woodworking, Jon Maghini turned his fascination of instrument building into a reality when he founded M Basses about a decade ago. 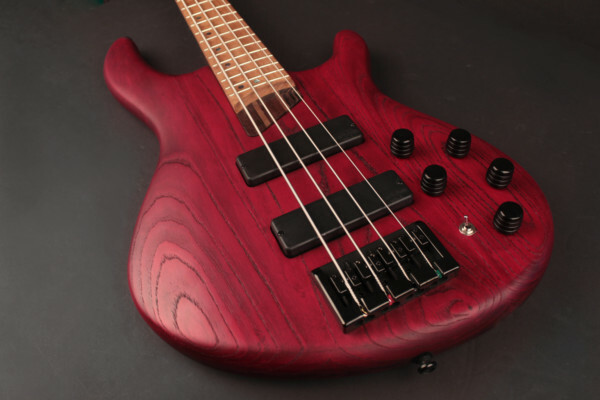 Though the Connecticut-based luthier has built completely custom basses in the past, he began streamlining his process by focusing on J-style basses late last year with his Mj model, eventually adding a a complimentary Mp model for fans of P-basses. We caught up with Jon to get his views on building and on what makes the classic bass styles stay in chic. I’ve always had an interest in art and music. I started playing bass in the 7th grade and quickly took an interest in how guitars were made. I think I completely disassembled my first bass the week I got it! I started out by swapping parts like the bridge and tuning keys, then I got into replacing pickups and so on. Before I knew it, I was building a body and then a neck. When I was about 17 I met Ron Blake, a local luthier with ties back to the early Carl Thompson shop in Brooklyn. Ron offered me the chance to apprentice, and that’s where it all started. My designs are mostly vintage-inspired. I guess they always have been in a way. I have always had a great respect for Leo Fender and the path that he carved out. In the early stages of my career, I was doing a lot of repair work while working in Ron’s shop, and I always favored working on the Fender-style instruments. The neck could be removed from the body making it easier to do fret work without risk of damaging the finish. It just made sense to me to be able to replace parts as needed, even a neck! 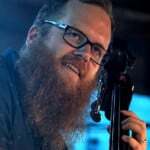 Why did you make the switch to focusing on J-style basses, and what differentiates your work from other J-basses? I guess you can say I’ve always been a Fender guy! My first “real” bass was a [Precision] bass and in the early days of M Basses, I had planned on offering vintage-style models. Somewhere my plans for the vintage-style models were put on hold while I explored other designs and construction methods. Eventually I came around and found that the time was right to start in on my original plan. As of August 2010, I began building the Mj model line, and I’m now offering the Mp models as well. The fact that I’m building each instrument entirely by hand sets my line apart from many others in today’s market. My production numbers are quite low in comparison to larger scale manufacturers; this allows me the opportunity to spend more time to focus on the details. 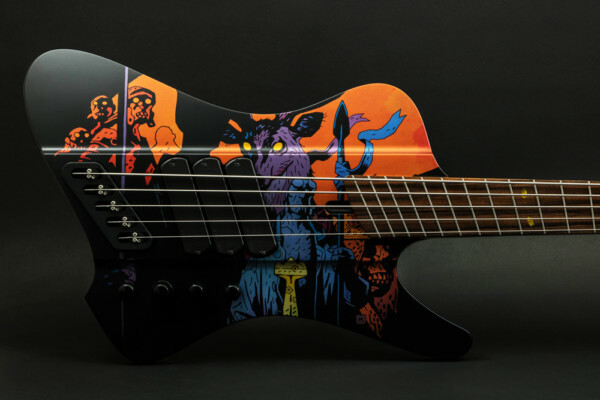 What do you think it is about that style of bass that has kept it so popular? I think the popularity of the classic P and J basses is actually quite simple; they are one of, if not the most recognized basses ever. Each have a tone that is both distinguished and predictable, and have been used on more classic recordings than any other electric bass. How does your father’s boat building affect the way you build? I grew up around woodworking. My dad started out building wood and fiberglass hydroplanes, and eventually moved onto restoring classic wooden speed boats. I’ve had access to tools and machinery my whole life, so it was only natural that I would end up doing something with wood. My family has always been very supportive of my decision to build instruments, and for that I’m very appreciative. The process begins by choosing the right combination of materials to suit the individual player’s taste. I really like to communicate with my customers to get a feel for what it is they are looking for in a bass. I do my best to keep the lines of communication open whether it’s by phone, email or in person. I really do my best to make myself available. Once we have decided on the right woods, neck shape, pickups and electronics, we can move onto the paint and hardware choices. I typically use only passive pickups. Carey Nordstrand makes my single coil pickups used in both the Mj and Mp models. As standard, all of my basses are wired passive using CTS pots and orange drop capacitors for a more traditional tone. I do however install pre-amps in many of the custom ordered basses. I typically use the Nordstrand 2 band or the Aguilar OBP-2. The pre-amp option is definitely useful in a live setting, offering much more flexibility tonally than passive circuitry. I also like to wire the pre-amps with an active/passive bypass, allowing the bass to be played either with or without the active pre-amp. On your website you mention you use “old school” building methods. What does that entail? By “Old School” I mean built manually, using my hands to create the finished product. That’s just the way I was brought up, you build something right and you build it to last! I’ve always favored this type of construction. I have a number of custom made jigs and fixtures dedicated to certain tasks, many are modeled after the same used in the pre-CBS Fender shop. I enjoy shaping all of my necks by hand; it gives a finished feel that in my opinion a machine could never produce. By no means is it the fastest way of production, but I keep a steady flow going and my lead times are never more than four months for a custom ordered instrument. Is being a one-man shop tougher for you or better for you? Well technically it’s a one man, one dog shop! I’ve got my little buddy Max with me most of the time. I also have some part time help when I need it. Things are getting busier these days, so the need for a full time employee might soon be on the horizon. As of today I have built roughly 425 basses under the M Basses name. That’s actually kind of funny. I see a few of my early instruments on a fairly regular basis for set-ups and things of that nature, but I never really like to compare. I mean they’re cool but nothing like what I’m building these days. I’ve been asked to do all sorts of crazy things over the years! From crazy inlay work to midi controllers, I’ve always done my best to accommodate most requests. Lately the requests have been fairly tame. I would have to say go for it, but do it right. Take your time and focus on the details.